I got to work this morning after my three-day weekend and learned that one of my patients– a very young man new to prison– made a serious suicide attempt last night. The news saddened and troubled me all day. Part of me would like to share details of what happened, but I also want to respect his privacy. 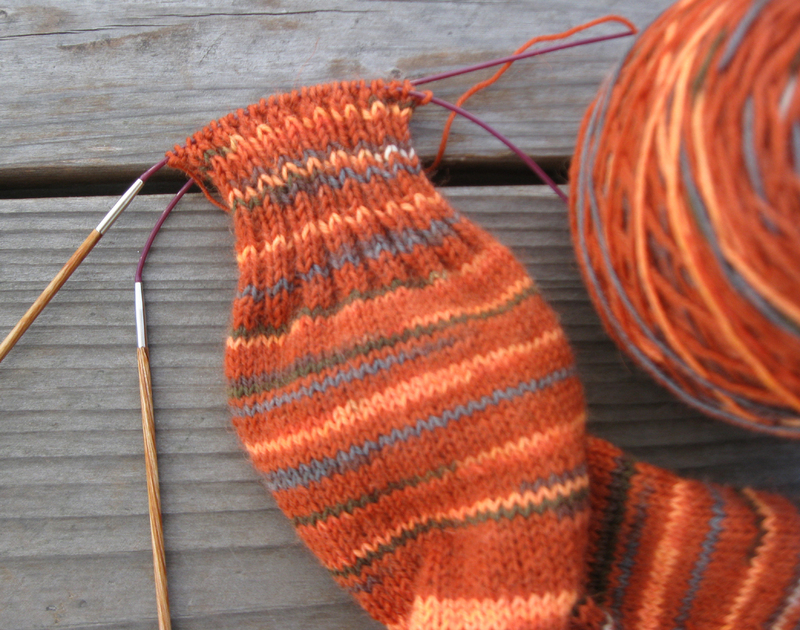 So this is going to be a short entry, and I’m going to see about finishing this sock. Categories: Handmade, Work (My Day Job) | Tags: knitting, socks | Permalink.